CLICK HERE FOR LATEST LINE UP & SET TIMES! 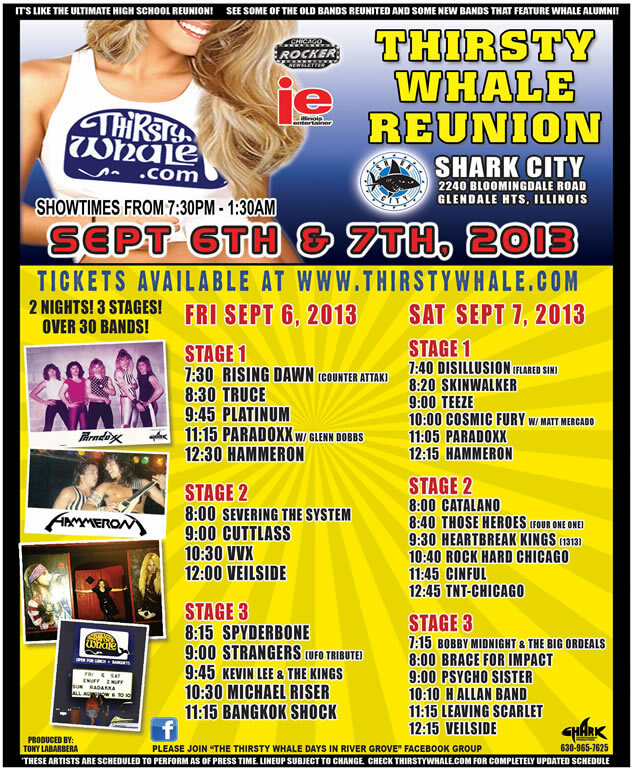 For reunion questions contact tony.twhale@gmail.com. TICKETS CAN STILL BE PURCHASED AT THE DOOR. Line up and set times are subject to change.